During my years as a student and teacher on the spiritual path, I’ve been learning to absorb the teaching of many great masters. To me they seem to be saying that In order to fully realize the truth of our being, all we need is to allow the power of our innate spirit of inquiry to fully express itself. With the encouragement of several friends on the path, I decided to start a blog entitled Free Spirit of Inquiry. One very powerful aspect of our spirit of inquiry is its freedom. Our spirit of inquiry is free in that it arises together with the free presence that is always here and now; there is no separation. Presence has no boundaries of width or height, space or time, and is free of all conceptual labels. It is free of the confinement of thought altogether. This means also being free to include thought. Our spirit of inquiry enables us to freely ask the deep questions about life; who or what am I really? Is there an actual entity that we call me? What is the actual substance of the awareness that manifests the world, that manifests the idea of me? The ultimate question is to ask deeply: What is it really? At first it may seem that our deep asking is just with the mind. But by continuing our inquiry with perseverance, determination, and courage in the face of life’s difficulties, this impression changes. Life becomes a river carrying us to the sea. Through meditation, contemplative prayer, and other devotional practices, we may eventually sense the mysterious power of our whole being guiding our inquiry into true nature, the source of all things. We continue cultivating the power of deep surrender of our attachment to our personal views, and agree to be guided from within by a power that lovingly knows, and unconditionally welcomes all of our experience from inside. This is what our spirit of inquiry helps us develop, this is what we all truly want. In the depths of our being, we all want to receive and give to others the unconditional love and compassion that is freely given from the heart of all creation. The purpose of this blog is to encourage and stimulate the development of the spirit of inquiry of the participants. If people are moved to comment and/or offer suggestions, I will make an effort to address them. May we all learn to more fully embody the spirit we actually are. May we all continue to develop the abilities to share love, kindness, and understanding as we support each other on the path of never ending self discovery. Roger Hawkins began practicing Zen Buddhism at the San Francisco Zen Center in 1971 at the age of 22. He spent ten years as a practicing residential student, three of those years at Tassajara Monastery and three at Green Gulch Farm, as well as the City Center in San Francisco. He studied under Richard Baker Roshi and Tenshin Reb Anderson Roshi. Hawkins left the Zen Center in 1981, earning his master’s in psychology from Antioch University in 1983, and a doctorate from Ryokan College in 1989. Throughout the eighties and nineties in Los Angeles, he combined Zen with a private psychotherapy practice, a combination he feels provides a larger framework for plumbing the minds of American Buddhist students who tend to get stuck in holding patterns quite different from those of the Asian cultures where Buddhism originated. Hawkins practiced with Taizan Maezumi Roshi from 1993 until his death in 1995. In the late nineties, he practiced at the Santa Monica Zen Center, where he began to teach. In 1999, Hawkins and his family moved to Florida, where he continued teaching at the Southern Palm Zen Group in Boca Raton. There he met Lou Mitsunen Nordstrom Roshi in 2000. Hawkins completed koan study with Mitsunen, and in 2004, received Dharma transmission form him, with the title Shikan Sensei. 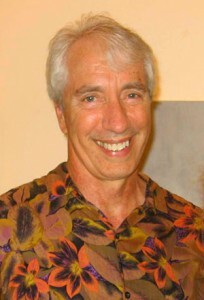 He founded the Fort Lauderdale Zen Group in 2003, and published Great Doubt, the Spirit of Self Inquiry in 2011. Currently he is practicing with Cloud Cottage Sangha in Western North Carolina where he lives, with his two sons.